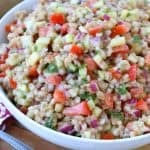 This colorful and flavorful Italian Barley Salad is a great make-ahead dish and is perfect for your next potluck, picnic, BBQ or any other occasion! I did something I never thought I’d do. I never, ever thought I’d replicate, or even want to replicate, airplane food. But I did and here it is! On a recent trip back home from Europe we were served a barley salad as the side dish and it was actually very good. So much so that our 6 year-old daughter asked if she could have ours too! Fortunately for me our 8 year-old son didn’t want his :) As our daughter was eating it she asked me if I could make it “as soon as” we got back home. So the next day she got her wish. This salad is a great make-ahead salad as the flavor is even better the next day. 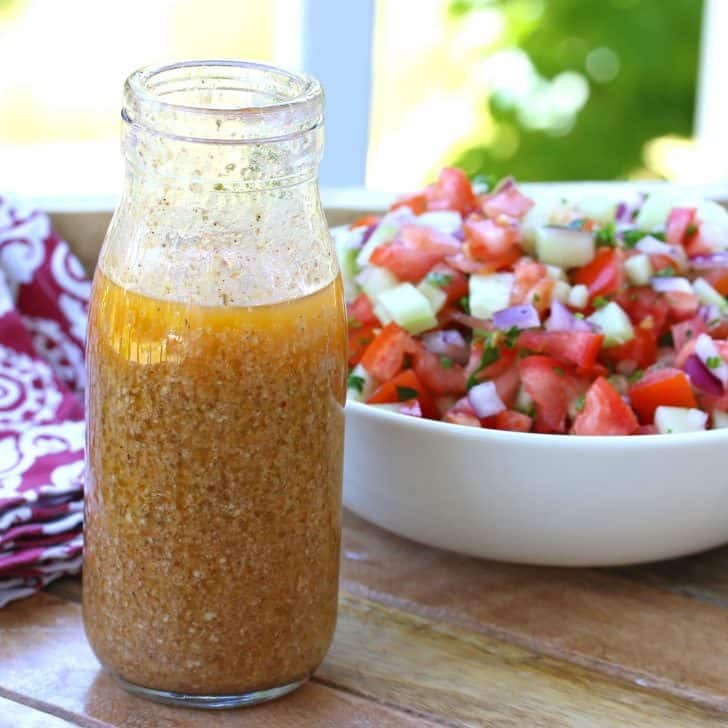 Make a batch of Homemade Italian Dressing. Place all the veggies and parsley in a large bowl and add the cooled, cooked barley. Stir to combine. Add the Homemade Italian Dressing and stir to thoroughly combine. Cover and chill in the refrigerator for at least 3-4 hours before serving. 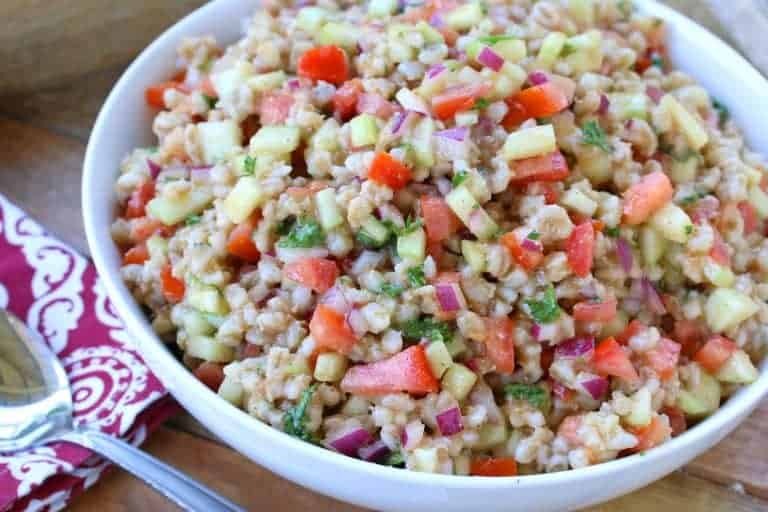 This colorful and flavorful salad is a great make-ahead dish and is perfect for you next potluck, picnic, BBQ or any occasion! Cook the barley in salted water for about 45 minutes or until the barley is tender but still chewy. Drain and cool completely. Combine all the ingredients in a large bowl. Add the Homemade Italian Dressing and stir to thoroughly combine. Chill in the fridge for at least 3-4 hours before serving. Can be made a day ahead. You can never have enough delicious side dishes for summer! This sounds amazing! This looks like something my whole family will love! Can’t wait to make it ASAP!! It looks amazing! My husband will love this, for sure! What a delicious idea. I need to try this immediately, it looks so good! What a great recipe! Perfect for hot summer days! Saving to make for my end of summer parties! 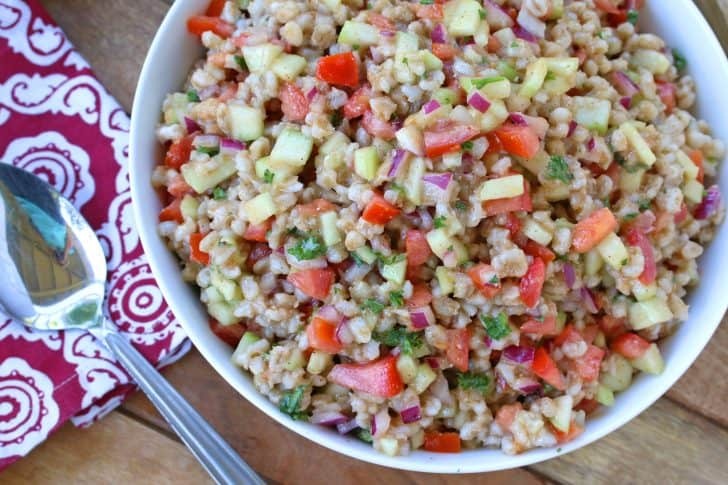 We love salads at our house & can’t wait to try this! It looks so tasty! So delicious and so simple! Really delicious. Great flavor combo. Thanks for sharing the recipe. Thank you, Louis, I’m glad you enjoyed it! This is fabulous, and I truly love barley. Although I use hulled barley, which isn’t processed, so it’s much chewier! 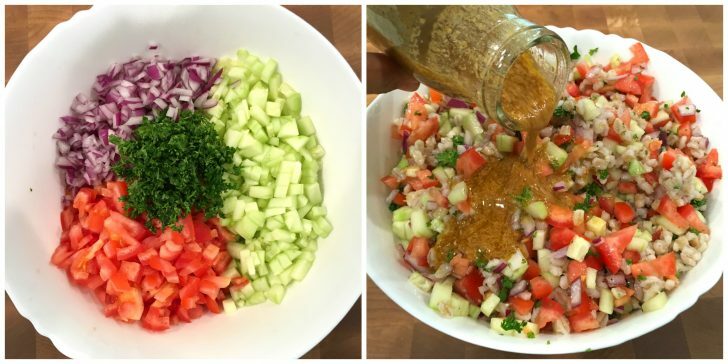 Great ingredients in the salad and dressing! Fantastic, Mimi, I’m so glad you enjoyed it and appreciate the feedback, thank you!